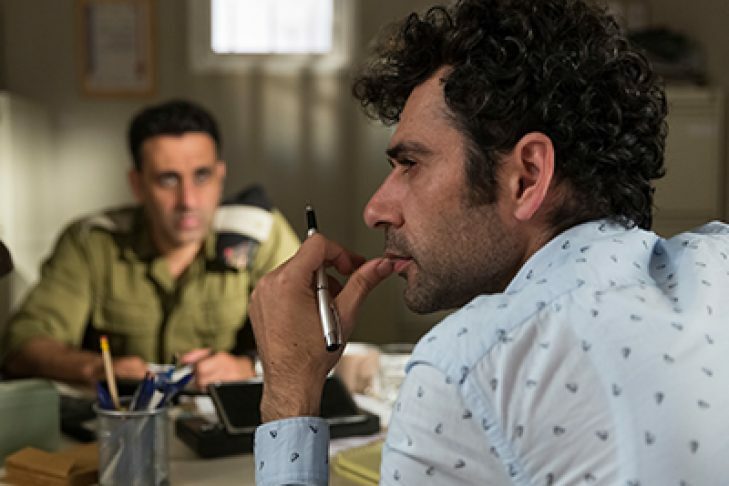 Winner of top prizes at the Haifa and Venice film festivals, Sameh Zoabi’s satire follows Salam (Kais Nashif, “Paradise Now”), a winsome slacker, as he fails upwards at his job on a sudsy Palestinian TV soap opera “Tel Aviv on Fire,” popular with both Israelis and Palestinians. Salam’s daily commute from the Ramallah set through the Israeli checkpoint leads to regular encounters with the IDF officer in charge (Yaniv Biton, “Mossad 101”). When the officer demands Salam change the show’s story line to make his wife happy, Salam struggles with concocting plot twists to suit viewers on both sides. Also starring Lubna Azabal (“Little Drummer Girl,” “Honourable Woman”).